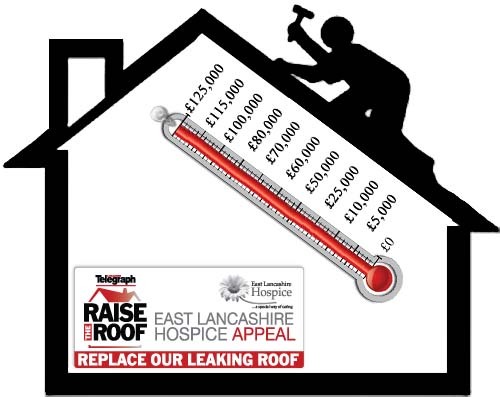 On Christmas Eve we reached the £125,000 target for the Raise the Roof Appeal – 3 months ahead of schedule. A BIG THANK YOU to all our supporters, the Lancashire Telegraph readers and the Lancashire Telegraph for supporting the appeal. You did sponsored walks, garden parties, pub crawls. Donated birthday, anniversary and Christmas money, saved up pocket money - Quite simply you did it for us and for that we are very grateful. This will enable work to start on the roof in Spring to quite literally put a roof over the head of our patients.